One of the best festivals of the spring season happens this Sunday in the Downtown core. Rajun Cajun Crawfish Fest benefiting Porter-Leath happens this Sunday, April 15, from 11 AM to 7 PM on Wagner Street and Riverside Drive between Union and Beale. There is no charge to enter the festival. Big buckets of crawfish are sold to the public, and for those who are not into crawfish there are always some good food trucks and carnival food vendors. There will be live music by Marcella and Her Lovers, FreeWorld, ShotGunBillys, Black Oak Arkansas, and The Bar-Kays. There will be a crawfish eating contest, bobbing for live (!!!) crawfish, and crawfish races. There will also be a gumbo cooking contest going on. Although admission is free, there are tickets available to the VIP Swamp tent. The VIP experience is $125 individual/$225 couple and includes a shaded area, an unlimited buffet of crawfish and other Cajun foods, beer, beverages, and dessert. By the way, a big F.U. to whomever ordered this January weather in April. I checked WeatherBug’s 10-day forecast and it shows high 48, low 34 for Sunday. Plus it’s going to rain Saturday so I won’t be able to walk down to the farmers market for some yoga pants watching. Something Rotten! plays the Orpheum tomorrow through Sunday. Set in the 1590s, it’s the story of Nick and Nigel Bottom who are desperate to get out of the shadow of that “rock star” Shakespeare and have their own hit play. After a local soothsayer sees the future of plays, the Bottoms set out to write the very first musical. The South Main Association holds its monthly meeting at the Tennessee Brewery tomorrow night, Tuesday, April 10. Social at 6, presentation at 6:30 as usual, but you’ll want to get there even earlier for a 5:30 tour of the building. Also, you’ll want to be at social hour right at 6 for a sampling of Goldcrest 51 beer, once brewed at the Tennessee Brewery. Billy Orgel will talk about the brewery. Also, Phil Woodard and Terry Lynch, two of the earliest believers and investors in South Main, will talk about the future of the neighborhood. Free for SMA members, $10 for non-members. 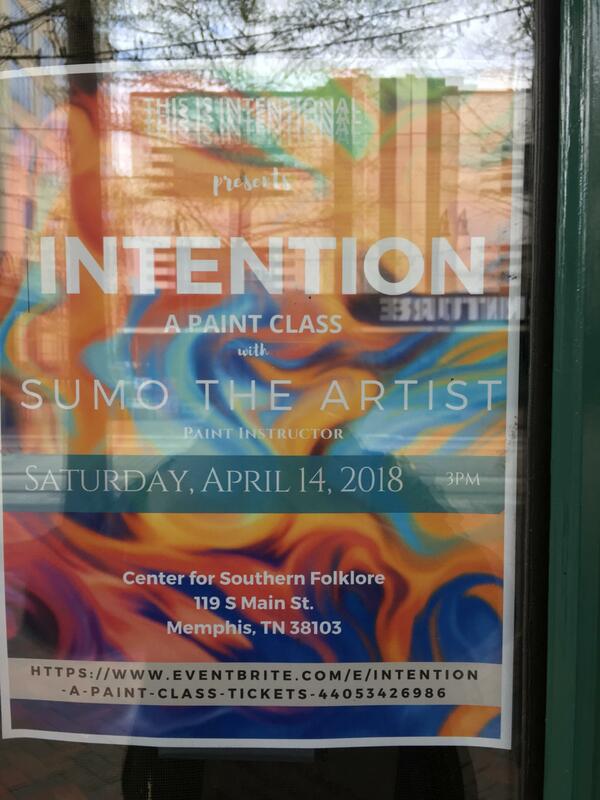 The Center for Southern Folklore will host a paint class led by Sumo the Artist this Friday. I really enjoyed WrestleMania last night. I won’t include any spoilers for those who have yet to watch the show, but let’s just say the event was anything but predictable. Well done. Excited about Monday Night Raw tonight. Back tomorrow with more news.